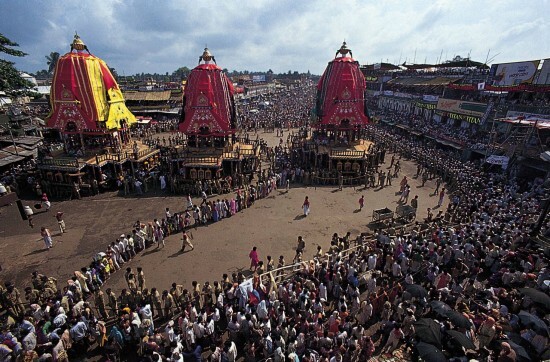 The city of Jagannath Puri (East India) is famous for its ancient temple and Deities there presiding. 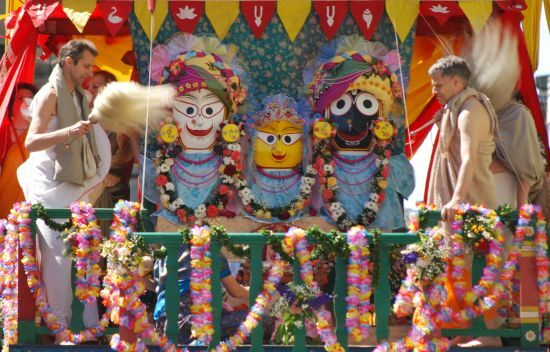 They are the unusually shaped figures of Shri Krishna as Lord Jagannath (Master of Universe), His brother Baladev and Their sister Subhadra. 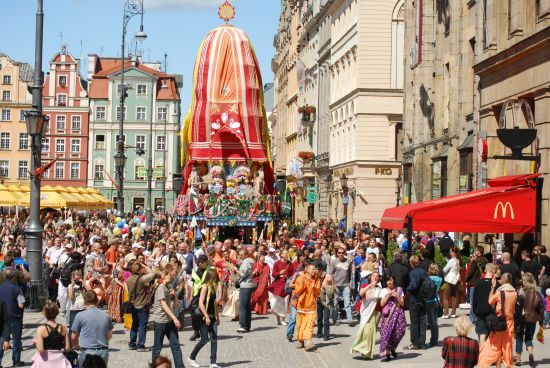 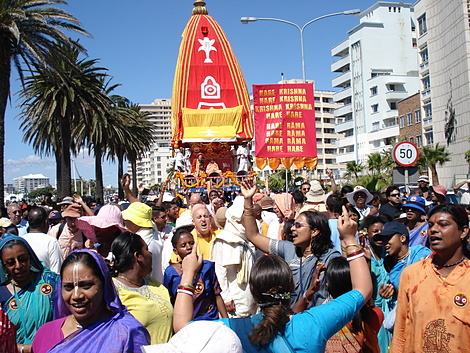 The person who brought Ratha Yatra Festival to the streets of the West was Shrila Prabhupada A.C. Bhaktivedanta Swami, Hindu spiritual teacher and founder of the International Society for Krishna Consciousness [ISKCON]. 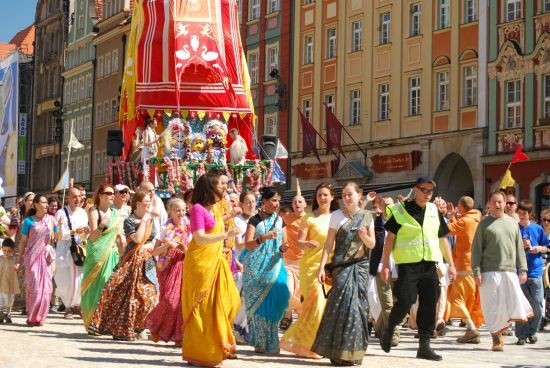 Great chariots with replicas of Jagannath deities have appeared on the streets of Rome, Paris, Brussels, London, Durban, New York, San Francisco or Berlin.